A Dallas man has pleaded guilty to kidnapping and conspiracy charges after using Grindr to target gay men for violent crimes. Michael Atkinson, 24, pleaded guilty to the assaults, which took place in the Dallas area in December 2017. 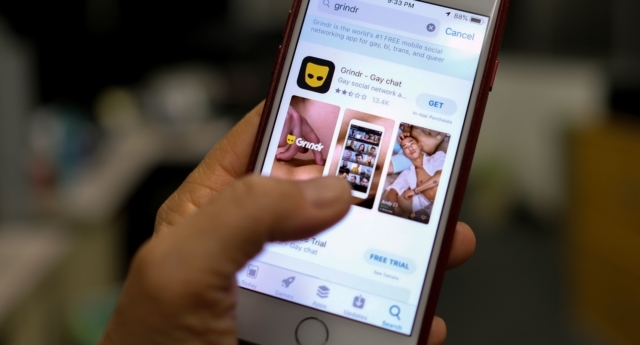 Atkinson admitted conspiracy to use gay-hook up app Grindr to lure gay men to a vacant apartment, where victims were assaulted, humiliated and robbed. According to the plea documents, one of Atkinson’s co-conspirators wiped human faeces and urinated on one of the victims, and sexually assaulted another victim. Atkinson also witnessed a co-conspirator assault one victim and call the victim a homophobic slur. Though he is yet to be sentenced, Atkinson could face up to life in prison for the kidnapping charge, and five years in prison for the conspiracy charge. Another man, 19-year-old Daniel Jenkins, was indicted alongside Atkinson in January. Jenkins’ lawyer previously said that he would contest the charges. Michael Schneider, Acting Special Agent in Charge of the FBI Dallas Division, said: “Michael Atkinson targeted the victims in this case because of their sexual orientation. “Hate crimes affect not only the victims, but also have a devastating impact on their families and an entire community. US Attorney Erin Nealy Cox said “Unfortunately, this is not the first time we’ve seen despicable crimes committed on apps like Grindr. US Assistant Attorney General Eric Dreiband said: “The Department of Justice will continue to protect individuals and communities from violence based on sexual orientation or gender identity. The case is not the first time that the gay hook-up app has been used by criminals in the area. Four men were previously jailed for a separate spate of hate crime robberies that took place in Dallas in January and February of 2017. Anthony Shelton, 20, Nigel Garrett, 21, Chancler Encalade, 20, and Cameron Ajiduah, 19, were jailed after using Grindr to arrange fake hook-ups with unsuspecting victims. Police in Oklahoma also reported a similar incident in September 2018.